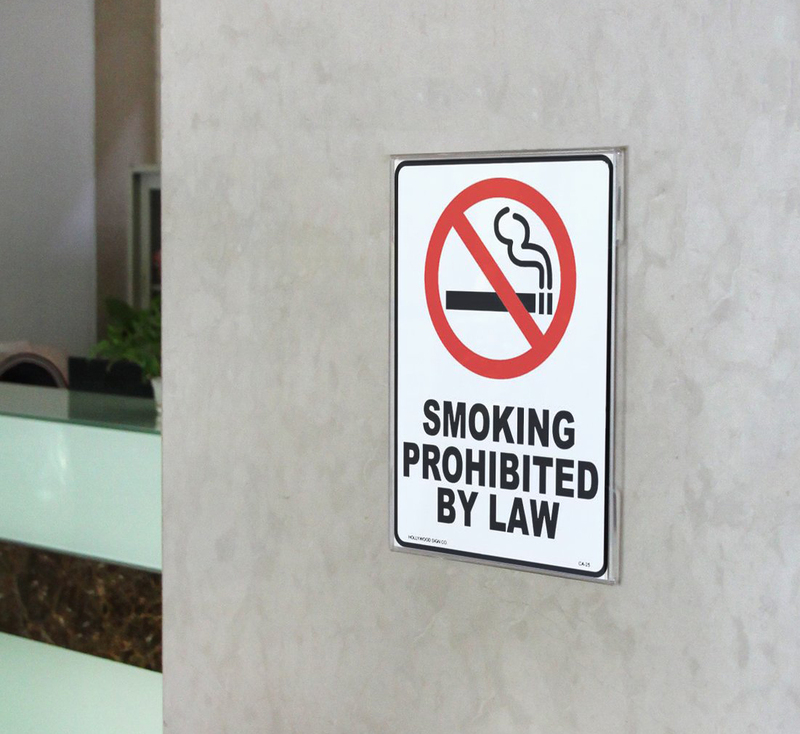 This Folded Acrylic Sign Holder features removable 3M double sided adhesive tape for sticking sign holder to walls and doors. 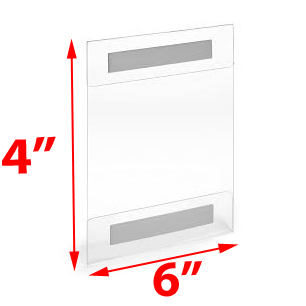 You can use this folded acrylic sign holder to display signs, certificates, pictures, advertisements, photos and more. 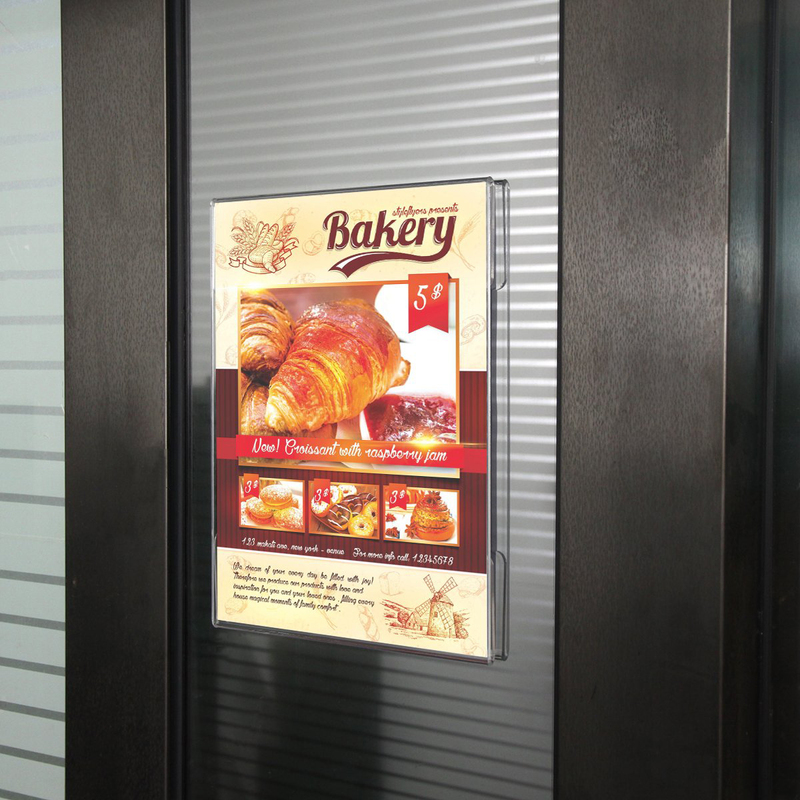 This design makes it easy to insert printed advertisements in stores, classrooms and hallways. Please note our signholders are not molded plastic. 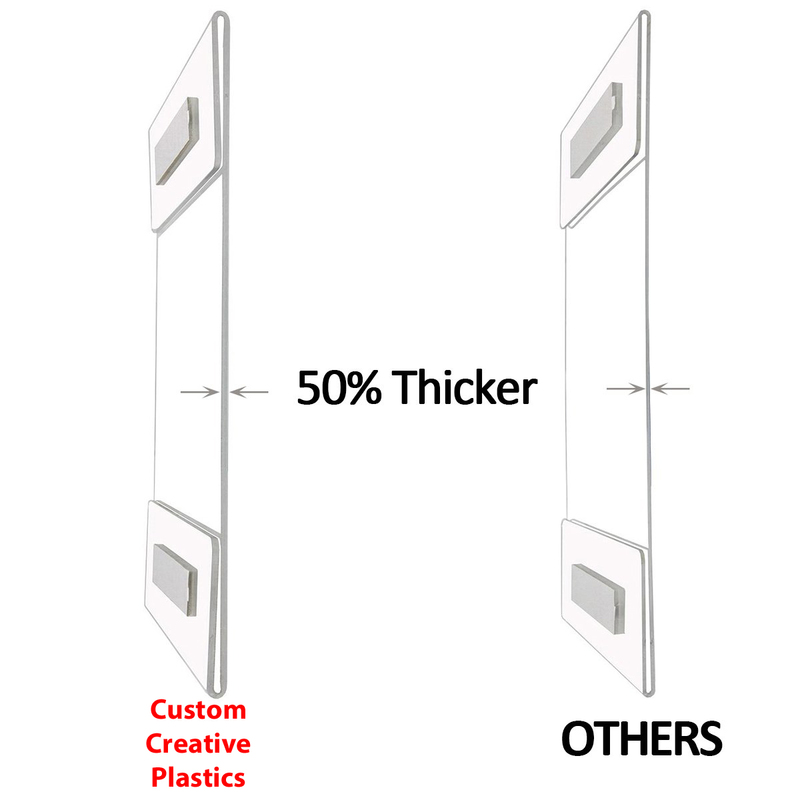 All signholders are made with thick quality acrylic and not thin flimsy material.